You may think Android isn’t for everyone. You sometimes hear others say “it’s too complicated”, or “It might be good for techies, but not for me”. Yes, Android does have that image — a virus-prone system with too many options that can easily go wrong. Couple that with the fact that it looks different on every device, and you get something that can be hard for non-techies to deal with. But Android is actually a great operating system, and one that anyone can enjoy. 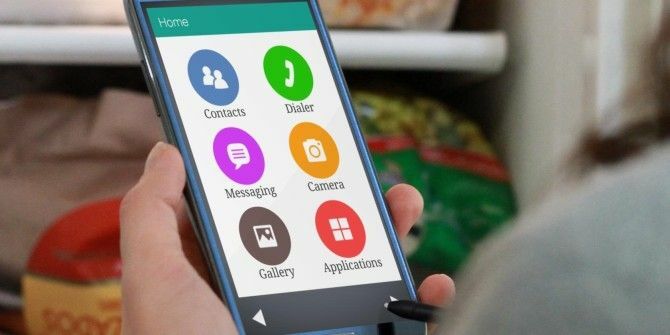 There are some great ways to configure an Android phone for older people Larger Icons and Keyboards for a Phone Mom Would Love: Android Can Make the Elderly Tech Savvy Larger Icons and Keyboards for a Phone Mom Would Love: Android Can Make the Elderly Tech Savvy The elderly often feel intimidated by new technology. Smartphones in particular did not catch on among the retired compared to the Facebook generation. And for good reason: Tiny screens and keyboards seem designed for addicting... Read More , and when talking about senior citizens, there are some good dedicated devices for seniors The 6 Best Cell Phones for Senior Citizens The 6 Best Cell Phones for Senior Citizens What mobile phone is made with the senior citizen in mind? Read More to buy. But just because someone’s older or not really into tech doesn’t mean they can’t use Android in all of its glory. If you find your Android experience too complicated or not intuitive enough, you need Wiser launcher. Wiser simplifies the Android experience and makes it accessible for everyone. It does so by introducing a bright and clear interface that feels friendly right off the bat. The great thing about Wiser is that it’s not only easy to use, it’s also easy to set up. When first launched, Wiser gives you a clear explanation about setting it as the default launcher, so you no longer have to deal with the one that came with your phone. Once this is done, your home screen belongs to Wiser, and will feature 6 useful icons: Contacts, Dialer, Messaging, Camera, Gallery and Applications. These shortcuts cannot be changed. Wiser doesn’t only take over your home screen, though. Your contacts app, dialer app and app drawer will also get a makeover. The Wiser dialer app, while lacking some useful native Android features, is as simple as these things get. The numbers are big and clear, and it’s easy to access call history from here, or add a new contact. The call history itself is also easier to understand than the one you get on most Android devices, and the white background helps things pop out. The dialer does make somewhat annoying tones when pressing the buttons, and I couldn’t find a way to disable those. The contacts app is just as simple, with prominent “Search” and “New Contact” buttons. The search feature is standard fare: start typing a name to get immediate results. Adding new contacts is also a breeze. Just enter first and last name, and the app will guide you the rest of the way, with a different section for every other detail you can add. This interface makes it almost impossible to add a contact without meaning to. When viewing a single contact, it’s easy to browse between cell phone, home phone and email using the side buttons, or initiate either a call or a text to that contact. You also don’t have to worry about inadvertently deleting a contact — Wiser will make sure you don’t do this by mistake. Traditional Android home screens can get cluttered, fast. It can be hard finding your favorite apps or contacts. 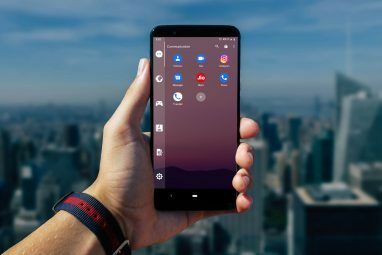 It’s not that Android doesn’t let you add icons and widgets to your home screen, but the process is not always intuitive, and icons have a tendency to hide on one of multiple home screens in your launcher. Here too, Wiser makes your life easier. The launcher comes with one Favorite People screen and two App Shortcuts screens. Tap the plus icon to start adding contacts or applications for quick access through these screens. These shortcut screens are available at any time when you scroll right from your home screen, so you’re always a tap away from your most-used apps and contacts. By tapping the cogwheel icon on each of these screens, you can delete shortcuts and then replace them with others. For many users, one of the most confusing things about Android is the notification center. The dark background, the tiny text, and its tendency to always fill up with unintelligible notifications makes the whole thing quite baffling. This can get to the point where people ignore the notification center entirely, thus missing things that are actually important to them. Wiser brings this confusion to an end. The notice board is available by scrolling left from your Wiser home screen. When a new notification is available, the left arrow will blink to grab your attention. You will need to give Wiser access to your notifications in order for the for notice board to work. Don’t worry, though, just like everything else, Wiser makes this easy. It’s important to note that while Wiser is available for devices running Android 4.0 and up, the notice board feature is only available on Android 4.3 and up. Even with Wiser, users may run into snags with Android from time to time. Wiser also plans on releasing what they call the Companion app, which will let users support others remotely using their phones. The app is currently in closed beta, and I haven’t tried it myself, but if you’re intrigued, you can register for it on the Wiser website. There’s no reason for anyone not to get along with Android. 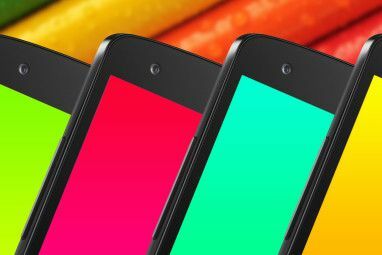 If you’re new to the system, start with these 5 important actions on new Android phones 5 Things You Should Do With A New Android Phone 5 Things You Should Do With A New Android Phone Small features can make all the difference in day-to-day use and cool apps will tailor the device to your needs. Read More , and continue with these 4 important apps New Android Phone? Here Are The 4 Apps You Must Install Right Away New Android Phone? 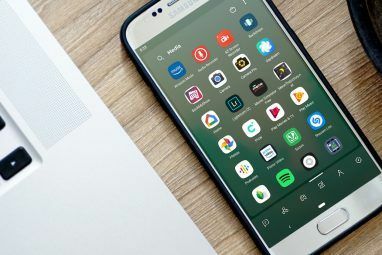 Here Are The 4 Apps You Must Install Right Away Were you the lucky recipient of a new Android phone over the holidays? If you were, you are in for a real treat. Read More . If Android still confuses you, Wiser is one great way to make things better. Hi folks, I downloaded this to test for my wife.. chose "always"... I need to figure out how to delete it now.. and I can't. I will download it on my wife's phone but I need it off of mine.. there is no longer a button to take me to all of my apps for uninstalls, please help. great app btw, will be perfect for my wife, just not for me. Incompatible on Moto E with Kitkat 4.4.4, as well as on Nexus 7 (2013 version) with kitkat 4.4.4. I use an app called Fastly and do not even bother about rearranging icons in my Android. It lists app icons in a grid, so it is much likely to find any app in a tap or two. I have a friend who had a stroke several months back and she struggles to use her phone. She has memory issues now, her hands shake too much for the small icons, and it is hard for her to see things clearly. This looks perfect for her. I'm so thrilled to find out about this app! is there something like this app, only for older android versions, like 2.3 gingerbread? I don't know of anything. You can try asking on MakeUseOf Answers, though, maybe someone knows of a super simple launcher that works on older versions of Android. Please update if you manage to find something! Sorry about that, are your devices running older versions of Android than 4.0? That could be the problem. My phone is running 4.1.1 and the table which does not have a phone is running 4.2.2. phone is a tracfone zte valet. Play page states the app is incompatible with both. My retired 65-year-old father had always asked me to buy him an Android phone. Apparently he wanted to join the younger "in" generation, but to be honest I knew he couldn't manage to use it, let alone control it. He insisted he could learn it. 3 months ago, I bought him a non-Android touch screen phone, and I must tell you that it didn't even work for him, despite endless instructions from us! His huge fingers made matters worse. My poor old man, he knew we were right (that he couldn't use it properly), but he would never admit that. Anyway, this launcher looks promising; it looks easy on the eyes, esp. for old eyes. I might try this launcher on my Android and let my dad test it and see the results. Thanks for the rec! I'll definitely be looking into this one. My mom owns a great Android phone and simply can't understand how to use it. She even needed my help to figure out how to answer an incoming call (swipe left to right, mom). What we as techies - and I assume anyone on this site is at least a moderate techie - take for granted, others have much difficulty with. I constantly show her how she can do things.. browse, stream youtube, just the other day I told here there was a Netflix app and she about went through the roof with happiness (my brother-in-law got her a roku, so she can watch netflix on tv). Anyway, there IS really a market for this, whether we find it silly or not. I have 2 screens of icons and don't use widgets. Not really complicated. Nice find! I think I finally can buy a smartphone to my mom! (hints: she use Nokia, and refuse anything complicated). That was a weird article - probably written by someone, who fell into the iPhone pit. Android complicated? What nonsense is that? It is extyremely simple and the best part is that it is exactly the same on all phones. Never owned an iPhone in my life. :) And personally I don't find Android complicated, but I know lots of people who are less techy, and own an older Android device, and it's definitely complicated for them. Android too complicated? Oh boy. This launcher reminds me of iOS. Reminds me more of a google plus type design.